PCIe SSDs are estimated to surge up to 50% market share by the end of 2019. Thanks to sharp reductions in NAND flash prices, SSDs utilising all the bandwidth PCIe has to offer are becoming more ubiquitous amongst PC towers and 2019 is touted as the year when the SATA SSD will meet its match in the market. The time of the 2.5-inch SATA SSD may be coming to an end, according to industry sources (via Digitimes). Significant improvements to 3D NAND production have led to faster drives with higher capacities, and a looming NAND oversupply has seen unit prices for 512GB PCIe SSDs falling by 11% sequentially in the first quarter of the year. So too have 256GB drives significantly dropped in price. High-capacity drives, ranging from 512GB to 1TB, are also expected to get a little cheaper as the year goes on. SATA prices have also dropped by 9%, but not enough to slow the narrowing of the price gap between the slower protocol and its speedy successor. Reportedly, lower average selling prices for consumer PCIe 3.0 x2 SSDs fitted into notebooks – not the x4 drives often favoured in the desktop space – are accelerating adoption by the major OEMs. After all, enthusiasts have been favouring NVMe for years, but you’ll know PCIe drives have really taken off once they are the de facto choice for even moderately powered office workstations and personal laptops. And this increasing market share is causing major OEMs to rush out enhanced SSD controllers. 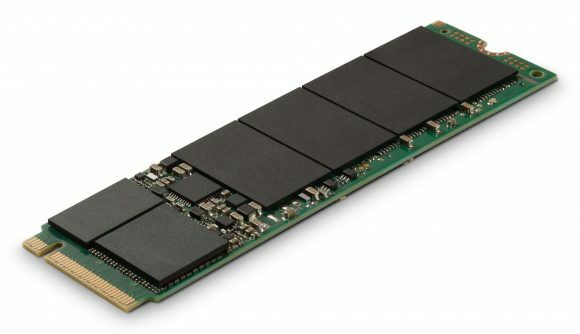 Silicon Motion, Phison, and Silicon Integrated Systems are all reportedly putting together enhanced PCIe SSD controllers to capitalise on the burgeoning market, while Micron recently built its first in-house controller within the Micron 2200 SSD, an entry-level NVMe drive.